While you are playing the game, there are dozens of hints that the protagonist isn’t able to speak or show emotions, but I gave him voice and expressions anyway. It’s not part of the story, but I can imagine he becoming a really close friend with Quirrel somehow, then they’ve been spending so much time together, that he learns to show his feelings and his real personality. 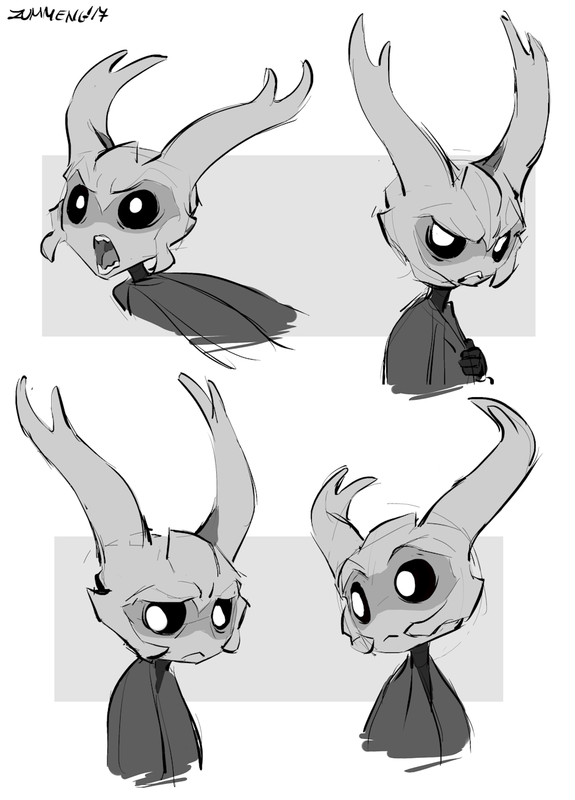 omg, precious bug child. I love how you draw him.